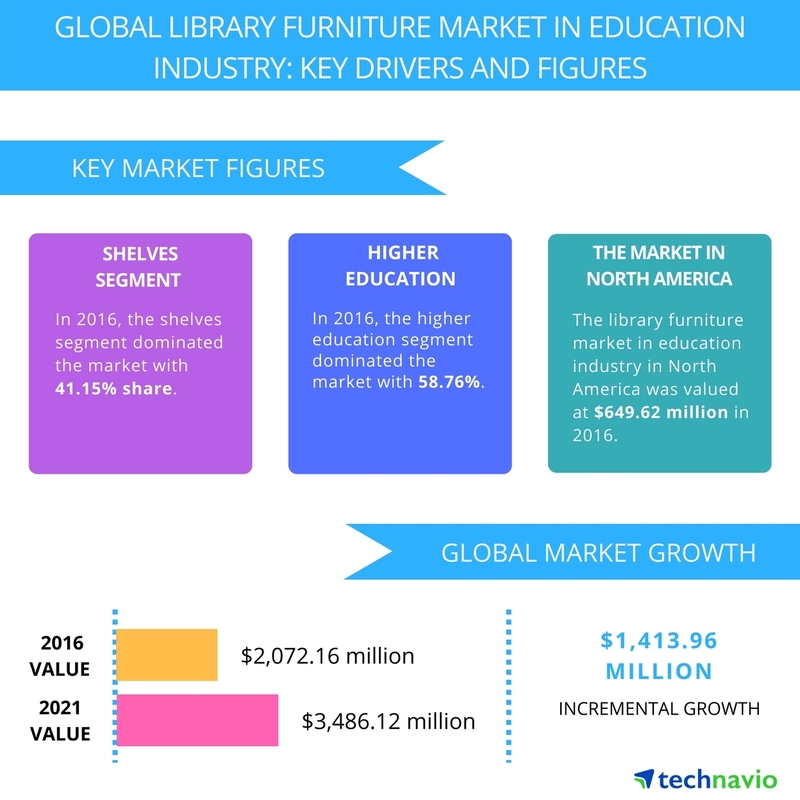 Published in July, 2106, and spanning over 55 pages, the Global School Furniture Market Report 2016-2020 is a concentrated effort of several Techavio offices around the globe, to gather, analyze and systemize current and future trends within the furniture industry. Opening their offices in Toronto, almost fifteen years back, the company have experienced unprecedented growth. Spreading to Chicago, London, Bangalore and Beijing, they have expanded rapidly, building strategic relationships with clients worldwide. Their philosophy is to provide easy-to-access reports, competitive pricing, focus on new and emerging technologies and robust industry coverage. Towards this end, the company analyzes an unparalleled range of industries, offering in-depth assessments of emerging and niche specific market segments. Education facilities have reinvented the paradigms of the entire teaching environment. Trends change at a rapid clip, providing companies with an ever-growing continuation of demand. In addition, customized protocols, and specialized education programs offer a myriad of opportunities. New standards of compliance, furthermore, have been propagated worldwide, effectively changing furniture technical characteristic requirements. In light of this, Techavio offers a comprehensive market report, covering this rapidly growing industry. Companies that serve both the public and private educational system should benefit immensely from this dense, yet compressed data.The report includes a very detailed segmentation of the global school furniture market, mainly by product type, covering seating, lab equipment, storage, and several other categories. Provided, also, is an outline of market share by region, including Europe, North America, APAC, and ROW. The report analyzes leading vendors as well, including Steelcase, Herman Miller, KI, and HNI. The overall assessment projects a steady growth of the global school furniture market, at a CAGR of around 16%, within the forecasted period. The primary growth driver, it is believed, is the rising demand for ergonomically designed furniture. Uncomfortable, unsuitable seating arrangement and furniture have become a growing concern among students and educators alike, and they’ve become concerned about the adverse effects. It is expected, therefore, to replace much of the traditional furniture designs with ergonomically built models, effectively growing the demand for contemporary design and manufacturing. Another reason indicating the need for replacement of traditional furniture design is the recent change in teaching methodologies. The methods of today involve students through collaborative and social programs, highlighting the need for furniture to become light, portable and versatile. The report expects these trends to continue well into the following years, growing the demand for ergonomically designed models that are light, portable, and versatile. The report highlights the factual situation of the market by providing data of product type along with its market share. 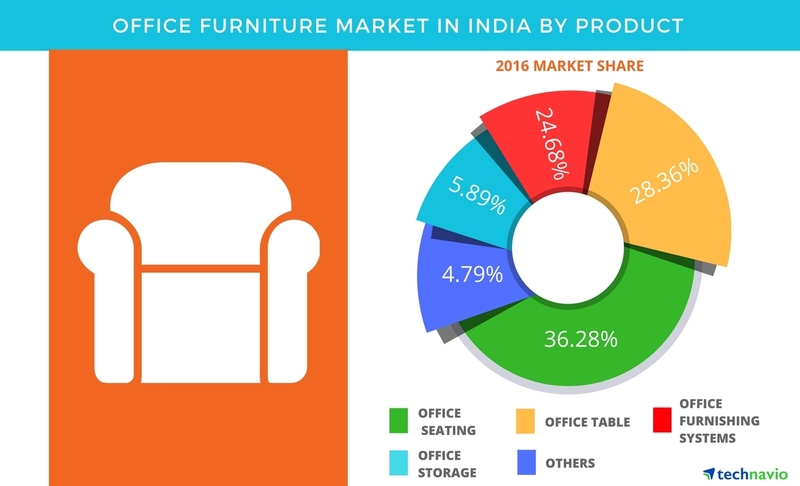 It is concluded that the global school furniture market was largely dominated by the seating furniture segment, which covers more than 50% market share. Including chairs, tables and desks, the sales projected during the forecasted period are likely to occur as a result of the need for replacement and refurbishment, and first-time purchases looking for compliance to current educational standards. Seating, storage and lab equipment products, among others, are equally analyzed. As far as geographical segmentation of the global school furniture market goes, the report takes an in-depth look at the region of Europe, North America, APAC, and ROW. It is concluded that North America dominates the global market, with an expectation to grow at a CAGR of around 11%, within the forecasted period. The same assessments from above apply in this specific market as well, in regards to blended learning and flip classrooms. North America, too, will witness an increased demand for modern, ergonomic and improved furniture that is characterized as versatile, portable, and compliant of new industry standards. The competitive landscape is highly fragmented, considering the presence of small and large suppliers alike. A close look at the BEFMG (British educational furniture members group), gives a valid assessment of the fragmented nature of industry suppliers, ranging from large corporations to smaller family-run businesses. The report expects vendors to compete on the basis of price and product differentiation, introducing innovative furniture design that will foster learning, as well as comfort. It highlights the leading vendors, mentioning and analyzing the operations of Herman Miller, Steelcase, KI and HNI. Other prominent vendors are mentioned as well, including EDUMAX, Hertz Furniture, Ballen Panels, Fleetwood Group, and Knoll. The report is optimistic about the future of smaller family-run businesses as well, highlighting the increased demand for custom designs and smaller order configurations. What is discussed in the report? Drawing conclusions from the analyzed data, the report tries to answer several key questions. Firstly, the market size and growth rate are thoroughly analyzed, including projections up to 2020. The key factors that drive the market are also discussed, along with trends that impact the growth of the global school furniture market. The analyses go over the key vendors and the projected market share for each, extrapolating on current trends and growth rate. There is a brief discussion about the challenges and circumstances preventing market growth, as well as the treats faced by vendors and institutions alike. Separate trending factors for each region are additionally analyzed and discussed, differentiating between North America, Europe, APAC ROW and HNI. Key outcomes are also discussed briefly, concluding the report. The information sources providing for the in-depth Techavio report include manufacturers, suppliers, channel partners, industry experts, and strategic decision makers. Data is collected and analyzed through primary and secondary research. The information is presented in a comprehensive and easy-to-access format. The format follows industry standards, including structure and methodology. It includes a list of abbreviations for ease of access, utilizing data formatting and visual design as well. Albeit its price, there is enough reason to believe that it is an invaluable guide for any large corporation, and small furniture vendors as well. For companies who aim to capture extra market share during this forecasted period, the report can provide a lot of insight and direction.